Pagai Huayra is that particular hot supercar that you don’t get to see much often on the streets, but a one-off model was recently spotted in Japan, while riding on the streets. Some people couldn’t stay away and caught the model on camera. 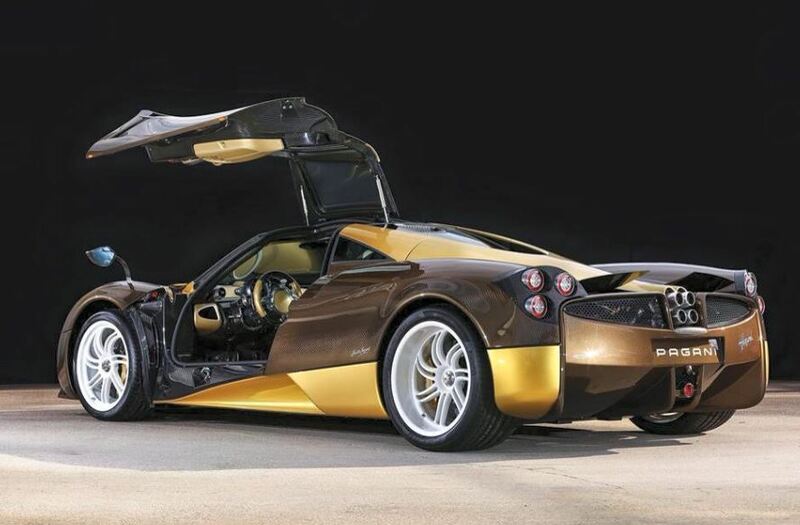 The Pagani Huayra seen in Japan is wearing a special brown body paintjob, coming with some golden lines, which definitely makes it stand out from the crowd. Now, it is up to you to decide whether the model is still keeping the classical looks of the brand, or is just a simple yet silly portraying of the original one. To be a reminder, the Pagani Huayra was first unveiled in 2012, being produced ever since at the company`s small plant in Modena, Italy. The supercar comes with a two-door body style, being fitted with a mid-engine and a rear-drive configuration. The Pagani Huayra is also famous for its superpower under the hood, meaning that it comes with a huge 6.0-liter B12 bi-turbo unit, taken from Mercedes-AMG, developing a great 730 horsepower and whopping 1,000 Nm of torque, enough for the model to reach the 0 to 100 km/h mileage in just 3 seconds, at a top speed of 370 km/h. Enjoy the 1-minute video with the Pagani Huarya on the streets of Japan!